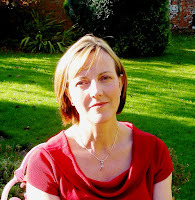 Judith Allnatt writes short stories and novels for adults. Her novels have been variously shortlisted for the Portico Prize for Literature, the East Midlands Book Award and featured as a Radio 5 Live Book of the Month. Short stories have appeared in the Bridport Prize Anthology and the Commonwealth Short Story Awards, and have been broadcast on BBC Radio 4 and the World Service. The Lost Garden may, at first glance, seem to be about small things but don’t be misled. Love and loss are explored with insight and sensitivity in this beautifully written novel. 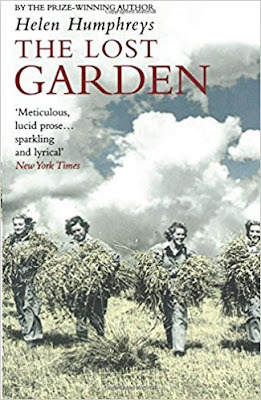 In 1941, Gwen Davis, bereaved and lonely, leaves London and the Blitz for Devon, to supervise a team of Land Girls in turning the gardens of the estate of Mosel over to food production. For the last few years, Gwen, who remembers having been touched only three times in her life and who is plain, pernickety and reclusive, has been hiding away in a research role at the Royal Horticultural Society. Her erudite knowledge of parsnip canker is, unsurprisingly, of no use at all in managing a group of lively girls who are already mixing happily with the Canadian soldiers billeted at the main house. Here she meets first Raley, an officer who is tensely waiting to be posted with his men and then Jane, the unofficial leader of the girls, whose fiancé is missing in action and whose mental state is dangerously fragile. All of the main characters are suffering losses and are trying to find a way to live in the face of war’s ‘brutal change’ and struggling to reconcile themselves to its ‘useless random death’. Raley drinks. Jane, anorexic and diagnosed as ‘in distress’, decides to ‘tend the animals’. Gwen, who sometimes lies under her heavy volumes of ‘The Genus Rosa’ and imagines the weight of a man, waits for love. There are mysteries. What caused the smell of fire in Gwen’s room? Who or what is the white ghost that the girls say they’ve seen at twilight? What is the meaning of the lost garden that Gwen finds, with its words inscribed on stones? There is also humour. The novel is narrated in the first person and Gwen is given a dry, quirky wit. About the removal of signposts throughout rural England and children schooled to refuse to give directions, she marvels: ‘No one seemed to have considered that a spy might come equipped with a map.’ Whimsically, she names the girls in her care after types of potato: ‘Golden Wonder’, ‘British Queen’ and, more generically, ‘The Lumper’; ‘Vittelette Noir’, who moves jobs from farm labourer to cook is immediately rechristened ‘Victualette Noir’. The contrast between Gwen’s yearning but timid approach to love and life and Jane’s fierceness is touchingly rendered and is used to make each woman’s dilemma more poignant. Jane says of her missing fiancé, ‘I cannot falter or he won’t come back’ and in her fragile state she is given to insomnia, night rides across the fields and impulsively giving away her possessions, even her clothes. Cautious Gwen, observing from the sidelines thinks ‘There is no protection in the world for someone who loves like that’. It was no surprise after having read this gem of a novel to learn that Helen Humphreys is also a poet. I’ve noticed before the close observation, striking images and nuanced language used by other poets-turned- fiction-writers: Owen Shears, Michael Ondaatje and Margaret Atwood for instance. Yes, this novel has engaging characters, a plot with unexpected twists and an interesting setting, but it is the writing itself, the texture if you like, rather than the pattern of the cloth, that I most enjoyed and so greatly admire. The Lost Garden is published by Bloomsbury. Thanks for this, Judith. Definitely one for my to-be-read heap!